Your INFINITI’s brakes are their most essential safety feature, and regular maintenance is an important part of ensuring the safety of your passengers and other people on the road. Most brakes last around 50,000 miles, but you should check them even more frequently. Make sure you have a thorough brake check-up once every 15,000 miles. This service can be performed when you bring your INFINITI in for its regular oil change. 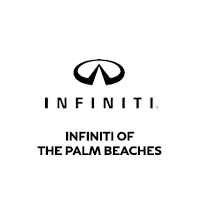 If your brakes show sign of wear or damage between inspections, bring your vehicle into INFINITI of the Palm Beaches in Florida. Don’t trust your brakes to anyone but the certified INFINITI maintenance experts at INFINITI of the Palm Beaches in West Palm Beach, Florida. Our service team has years of experience taking care of INFINITI vehicles. Schedule an appointment or contact the service department at (561) 220-5393 to learn more.